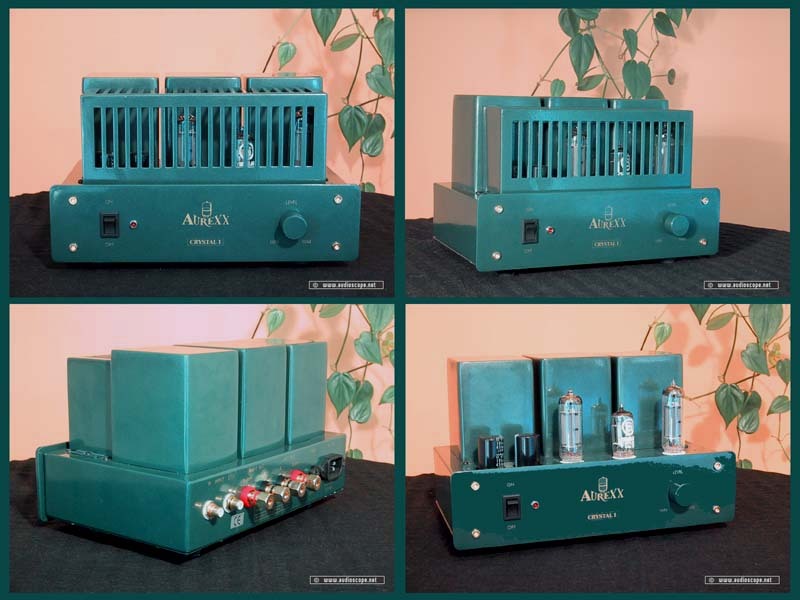 Aurexx Tube Amp Crystal 1 green for sale. Brand new single ended tube amp with two EL 84 and one ECC 83, this one is green. Also available in silver/chrome or black. 3,5 + 3,5 Watts/8Ohms. CLASS A! Kit for 319 € available.